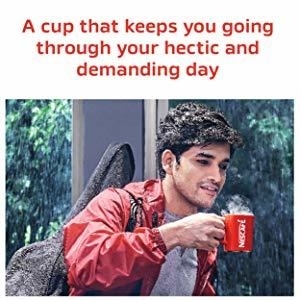 To take your coffee experiences to the next level, NESCAFÉ, the world’s favourite instant coffee brand, brings forth a rich and aromatic coffee in the form of NESCAFÉ Classic. The unmistakable flavour of NESCAFÉ Classic is what makes this signature coffee so loved all over the world. Start your day right with the first sip of this classic 100% pure coffee and let the intense taste and wonderfully refreshing aroma of NESCAFÉ instant coffee awaken your senses to new opportunities. With over 75 years of experience and working with coffee farmers, to help them grow more sustainable coffee through improved crop techniques, we deliver the best coffee produced by the best selecting, roasting and blending methods. 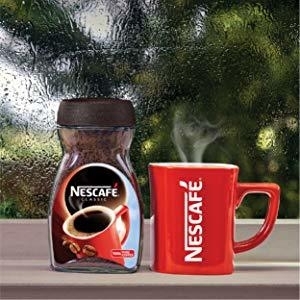 The NESCAFE Coffee ExperiencePure natural coffee beans go into making every granule of NESCAFE classic. With the new world-class technology, you get the richer aroma and an unmatched, coffee experience to stimulate your senses with your favorite NESCAFE. 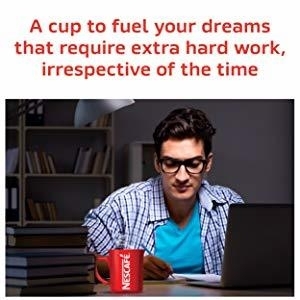 A steaming mug of NESCAFE prepares you for a new start keeping you stimulated and recharged.